On the KPMG Global Healthcare Conference from October 10 to 12 in Rome, Wang Shan, President of Peking University (PKU) People’s Hospital, delivered a well-received speech named “Opportunities & Challenges on Chinese Healthcare System”. 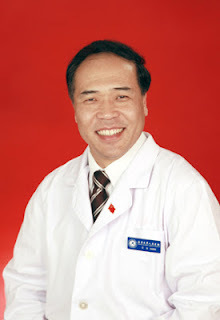 In the speech, Wang Shan introduced the challenges Chinese public hospitals are facing during the current reforms of Chinese Healthcare System and the whole society, as well as the opportunities. He also shared PKU People’s Hospital’s experiences of fine management on multiple levels, which gained praises from international counterparts. At the end of the speech, Wang pointed out that public hospitals should “Keep calm and keep moving”, which then became title of a related report on The Economist. The report, published on its Leviathan blog of public policy, regarded Wang’s positive slogan applicable to all global healthcare systems under opportunities and challenges. The KPMG Global Healthcare Conference’s theme was “Something to teach, something to learn: A new vision for healthcare”. It was focused on optimizing healthcare systems’ functions by using new technologies and new management concepts. About 40 experts from the United States, the United Kingdom, Canada, Japan, Brazil and other countries attended the conference. They found that similar challenges are encountered by different countries, although their healthcare systems have great differences. New concepts and methods are emerging all over the world, bringing feasible ways of solving the challenges. Among these, China’s Healthcare System reform and coping mechanism are illuminating the world.